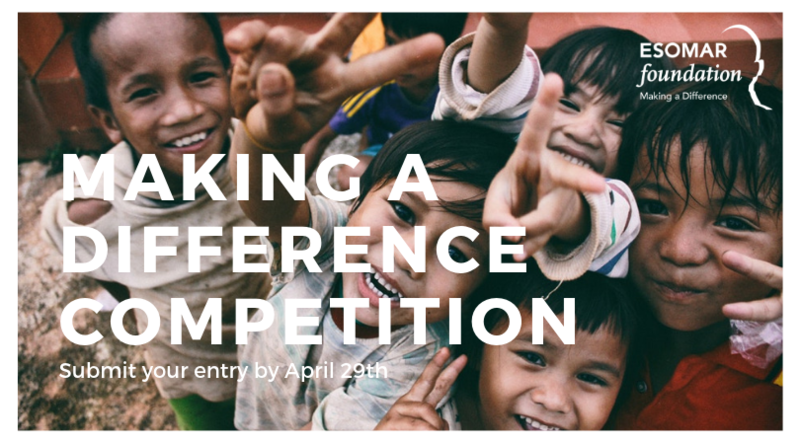 Due to demand, the new deadline for the Making a Difference Competition is e.o.d. April 29th. You now have 10 extra days to submit your entries and have the chance to present your work on the main stage of the ESOMAR Congress in Edinburg. We’d be thrilled to receive your proposals! Check out some of the previous winners of the Making a Difference Competition.